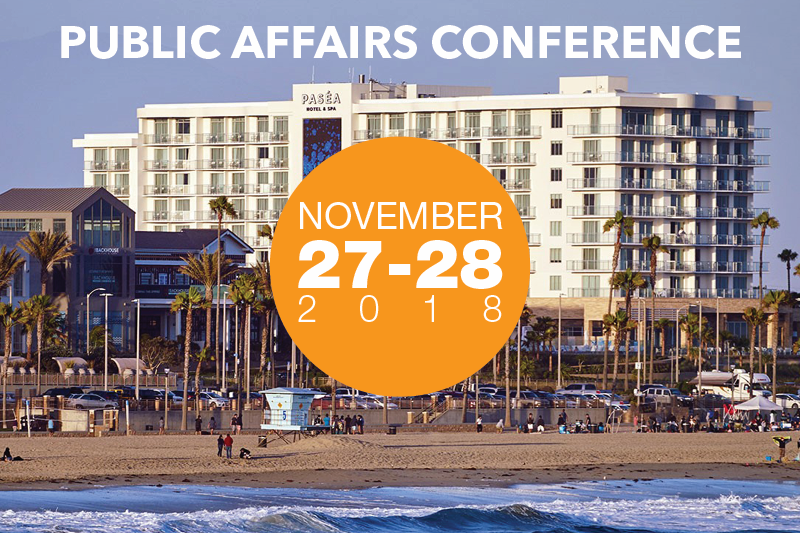 California legislators from both sides of the political aisle have joined the speaker lineup for the California Chamber of Commerce Public Affairs Conference, set for October 17–18 in Santa Monica. Agenda highlights include the following. 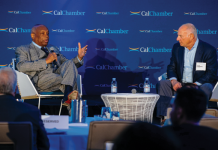 • Senators Steve Glazer (D-Contra Costa) and Scott Wilk (R-Santa Clarita), plus Assembly Member Adam Gray (D-Merced), will offer a “Halftime Review and Preview” on the second day of the conference as part of a panel discussion moderated by CalChamber President and CEO Allan Zaremberg. • Senator Bob Hertzberg (D-Van Nuys) is among the panelists for the final session, “From the Internet to the Internet of Things Starring the Tech Caucus.” Also on that panel are Assembly Members Catharine Baker (R-San Ramon), Jacqui Irwin (D-Thousand Oaks) and Kevin Kiley (R-Granite Bay). The session moderator is CalChamber Policy Advocate Kevin McKinley. • The Tuesday discussion on “Housing—Keeping It Local: How the State Plays a Role” will include Assembly Members Raul Bocanegra (D-Pacoima) and Miguel Santiago (D-Los Angeles). • A second Tuesday panel, “Housing—The State’s Independent Role: Funding, Reform and Development,” will include Assembly Members Anna Caballero (D-Salinas) and Marc Steinorth (R-Rancho Cucamonga). CalChamber Policy Advocate Louinda V. Lacey will serve as moderator for both housing sessions. Moderating the Wednesday luncheon panel of D.C. insiders will be the Chair of Fortune magazine’s Most Powerful Women conference, Nina Easton. Other Washington insiders will include Trent Duffy, HDMK; Mattie Duppler, Forward Strategies; and Tracy Sefl, strategic communications consultant. The senior editor of The Cook Political Report, Jennifer Duffy, will be offering up an overview of the 2018 national political landscape, including a look at the mid-term congressional races. 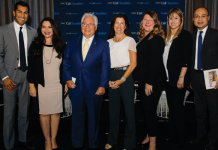 Commenting on the 2018 California elections will be longtime campaign strategists Darry Sragow, Dentons; Richard Temple, McNally Temple; and Christy Wilson, Wilson Public Affairs. Moderator of the session will be Marty Wilson, CalChamber executive vice president, public affairs. Presenting the results of the annual CalChamber survey of California voter attitudes will be Robert Green of PSB Research. Offering the media perspective on political happenings will be Mark Barabak of the Los Angeles Times and Carla Marinucci of Politico in a session moderated by Beth Miller of the Miller Public Affairs Group. Google is the major sponsor of this year’s conference.